The daily schedules of primary school kids are packed with school, co-curricular activities, enrichment classes, tuition and homework. As parents, we must not forget that some of the best lessons in life still happen outside the classroom. 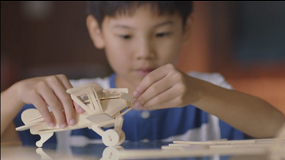 Solving problems, developing social skills, and enhancing their ability to communicate better are some of the important life skills that children can develop through play! As your child learns through school, classes and play, great nutrition is vital to fuel his daily activities. That’s why GROW Ready-to-Drink contains a combination of 26 vitamins and minerals, DHA, Choline, Taurine and Prebiotics. 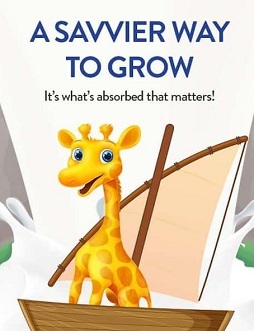 GROW Ready-to-Drink milk is conveniently packed and is scientifically designed to support the nourishment of children in their formative years to get the most out of work and play, anytime, anywhere. * Values shown are for vanilla flavour. For the nutrient values of chocolate flavour, please refer to the nutrition information panel of the specific product. 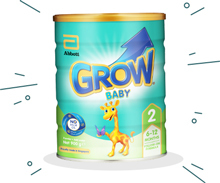 GROW Ready-to-drink delivers MORE with its higher nutritional value for children aged 3 to 12. GROW. GET THE GROW ADVANTAGE WITH IMMUNIGROW. Send me a free discount voucher! Copyright © 2018 Abbott, All Rights Reserved. Please read Legal Notice for further details.Unless otherwise specified, all product and service names appearing in this Internet site are trademarks owned by or licensed to Abbott, its subsidiaries or affiliates. No use of any Abbott trademark, trade name, or trade dress in this site may be made without prior written authorisation of Abbott, except to identify the product of services of the company.